PTDI is the premier international certifying body dedicated to truck driver training course excellence. PTDI certifies truck driver training and finishing programs. Separate your program from the competition by having your program certified. PTDI certified programs meet a higher standard, operate ethically and professionally and perform better. Demonstrate to students, carriers and insurers you don't just meet government regulations, you exceed them! Entry Level Training Programs: Learn about the certification process and PTDI's new Certification Profile system. Driver Finishing Programs: Learn about the standards and certification. 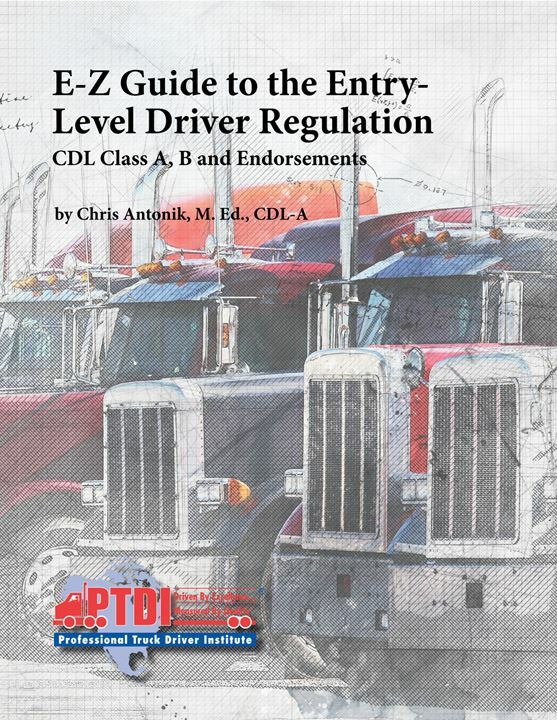 Learn more about PTDI's guide to the U.S. minimum training regulation (CDL classes A, B & endorsements). Go beyond basic compliance. Find a new level of excellence for your truck driver training program. Stand out from the competition. Certification improves program quality, student satisfaction and employer recognition. Get your entry level truck driver training program certified. Ensure you get the best training for your dollar. PTDI's standards require schools adhere to a rigorous curriculum that teaches you the skills to get hired. PTDI is not a school - but we can help you find a great one. Drivers can be tough to find. Great drivers even harder. PTDI certified programs exceed government minimums and offer safer, more consistent and better qualified drivers. Exactly what your company is looking for. Thank you to ATA for supporting certification with critical scholarship funding.